It seems like there is no stopping Articulate Storyline. Since the launch of its first version in 2012, the company went on improving the tool, setting a benchmark for other authoring tools to follow. 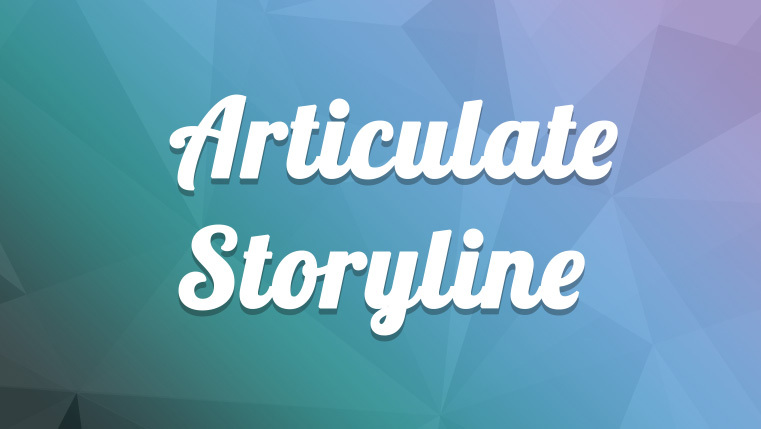 After Articulate 360, Articulate is back with the next version of Storyline, Storyline 3. The tool is loaded with features that focus on helping users get running and start developing courses. Articulate Storyline 3 was launched on April 4th 2017; here are the new and enhanced features of Articulate Storyline 3. It looks like Articulate Storyline has given some serious thought to delivering responsive e-Learning. The tool has enhanced its responsive player that renders the course responsively on tablets and smartphones, providing an aesthetic view on all devices. Gestures on smartphones are very important to guide the learner through the course. Storyline 3 supports touch screen gestures such as swiping, dragging, and double tap to zoom. Adding captions to your e-Learning courses enables people with hearing impairments to consume content. Using Articulate Storyline 3, you can easily add captions to the course, by simply importing the caption file into the course. One of the most exciting enhancements in the latest release is its ability to create motion path. Storyline has enhanced the motion path by adding a new feature called Orient shape to the path. When an object orients according to the path, it travels. Triggers are the biggest strength of Storyline, making it easy for developers to create complex interactivities, with ease. Triggers are enhanced in this tool; you will be now able to assign one or more triggers, to an object. Use layers to display additional content on the same slide, in response to learners’ actions. Layers are powerful interactivity tools, and now they’re better than ever. Leave the properties window open as you switch between layers, saving time and clicks. And set properties for duplicate layers at the same time. Storyline has made it easy to create interactivities in seconds, with push buttons, radio buttons, and checkboxes. Push buttons are now available with square or rounded corners. You can customize the appearance of these buttons to fit your course design and add triggers to control their actions. Result slides display the score at the end of the course with the total number of correct and incorrect questions. They also communicate these scores with the learning management system. Using Storyline 3, you can customize the result slide to match your course theme, and you can also insert multiple result slides in a course. Storyline was always a preferred choice to develop WCAG and Section 508 compliant e-Learning courses. Storyline 3 now takes this support to the next level, by enhancing screen reader support, full keyboard navigation, visible focus indicators, and much more. You can also customize the tab order of slide objects, to improve keyboard navigation. You can also Localize content for learners with screen readers by identifying the course language in HTML5 and Flash output. Storyline has enhanced the way triggers are assigned to an object. You can add triggers in many ways, like when objects intersect or collide. You can also trigger an action when an object enters or leaves the slide. If you are wondering how these features will be useful, here’s an example – you might want to trigger a character to talk when another character enters the slide, or you might want to change the expression of a character when the other leaves the slide. Sometimes, you may want to send a few slides for review, instead of the entire course, Storyline 3 allows you to publish specific slides or scenes, rather than publishing the entire course. The tool has also added the preview toolbar, where you can preview the course in various devices. Also, a new feature called responsive playback restriction is added, which lets you control the course orientation (landscape or portrait) on the device. For example, if you think your learners, should access the course in landscape mode, you can restrict the course from opening in the portrait view. These are some of the enhanced and new features of the tool, check their website to know more about these features.